Thanks to Elianora for her help! 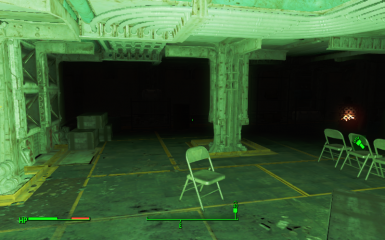 Fallout 4 has complex lighting that cannot be turned off via .ini files, so I've made this mod for that purpose. 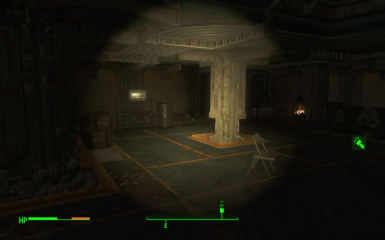 This has made the game playable for me, locking my FPS at 60 in Sanctuary and at 50 in Vaults/Caves/Buildings. It has doubled the frame rate in interiors for me. It also reduces the radius of any headlight (Mining helmet/Power armor/etc.) 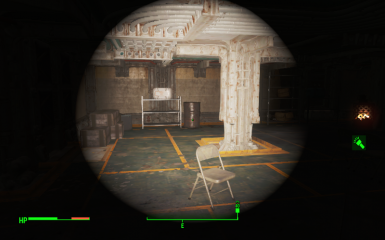 from 70 FOV to 50 FOV. 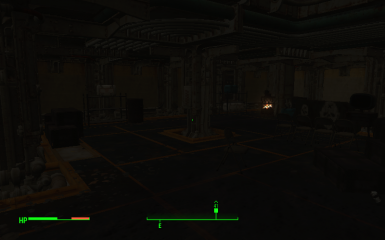 The pipboy light remains unchanged. Installation : Copy the .esp into your Data folder and enable it in the NMM. Why not just disable volumetric lighting or change light draw/fade distances? 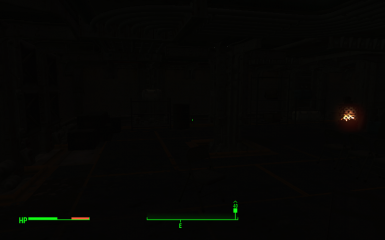 - Because it won't actually disable the light that is produced by objects. Why are the objects (trashcans/lamps/etc.) still ingame? - Because you can only make them invisible, not remove them entirely, which would create some invisible obstacles/walls. - I'm playing on a laptop I bought for a 100 euros, with an old I3 and a 640M, 8 GB RAM and a 128 GB SSD I got for free.